The melodic metal kings from SWEDEN are back with the 3rd album called ONE VOICE FOR THE KINGDOM with a big bombastic production, good compositions, virtuoso guitar, keyboard, drums & bass playing and on top of that vocal arrangements that few band can deliver! Golden Resurrection's guitarist & vocalist Tommy ReinXeed performed on primetime on Swedish National TV August 9, 2011 in front of 2 millions viewers and now more and more fans wants to know more about Tommy ReinXeed. 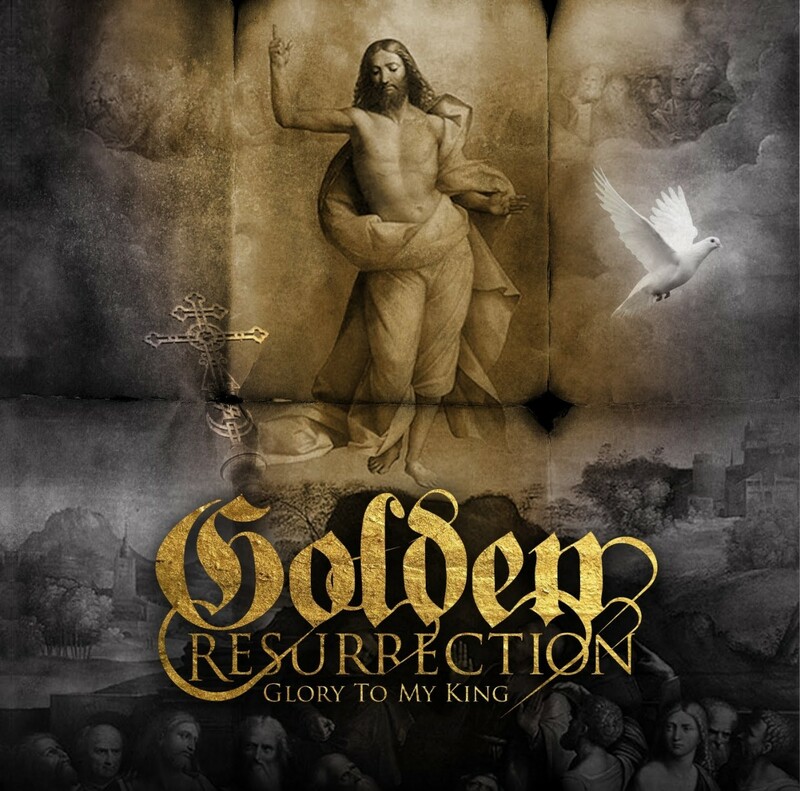 GOLDEN RESURRECTION - Continues the new wave of melodic neoclassical metal they successfully started with debut album GLORY TO MY KING. Both GOLDEN RESURRECTION & REINXEED'S latest albums got fantastic reviews all over the world and went straight into the Japanese Metal Charts. It was a success and after the show big artists and movie stars in Sweden were stunned by Tommy's guitar playing and singing and now the rest of the world wants to know more about Tommy ReinXeed and his bands Golden Resurrection & ReinXeed. 1st album GLORY TO MY KING got great reviews all over the world and fans was happy that vocalist Christian Liljegren was back with a new fresh band following in the great melodic tradition of his former band NARNIA. 2nd album MAN WITH A MISSION got great reviews as well all over the world. The album has a kind of different sound from the first album. More heavy and 80's metal inspired songs, of course along with some fast, pure power metal tracks. 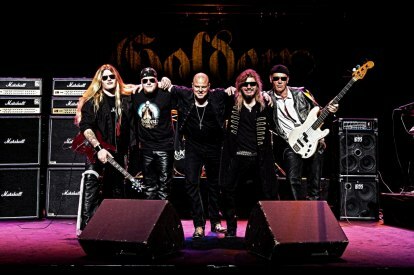 Since Christian Liljegren & Tommy ReinXeed formed GOLDEN RESURRECTION in 2008 they have been very productive, involved in many album productions by GOLDEN RESURRECTION, 7DAYS, DIVINEFIRE, AUDIOVISION, REINXEED & SWEDISH HITZ GOES METAL. The songwriting process for the 3rd album ONE VOICE FOR THE KINGDOM has been really exciting and the songs just came with a passion and a great flow. 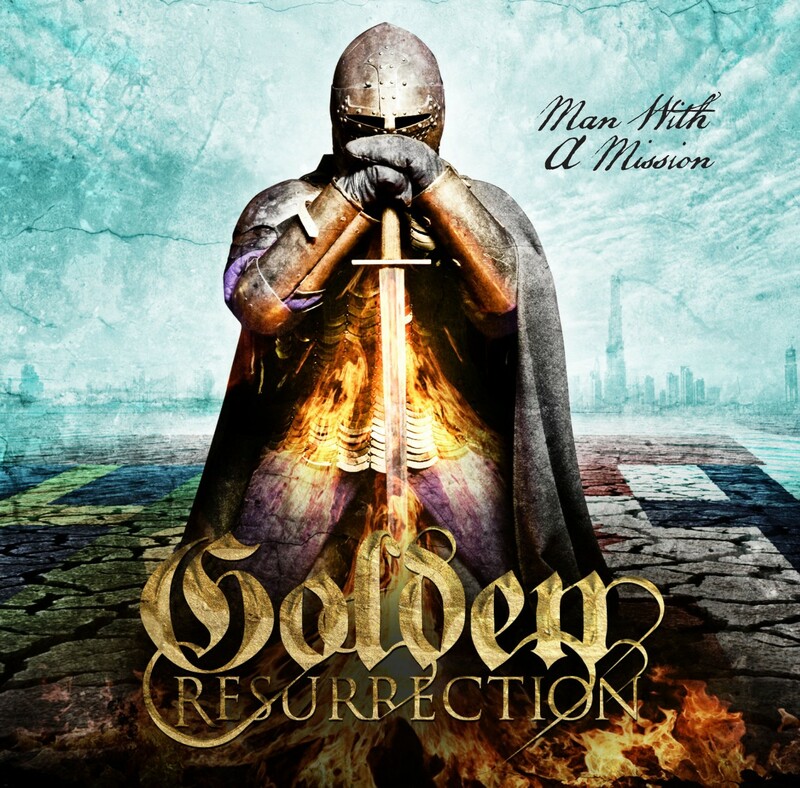 You will of course hear the melodic neoclassical & symphonic elements with big bombastic vocal arrangements along with the fastest drums you've ever heard on a GOLDEN RESURRECTION album. With this album they have really found a unique sound for GOLDEN RESURRECTION. Both Christian &Tommy are big fans of ABBA, EUROPE, KANSAS, QUEEN, RAINBOW, MALMSTEEN, STRATOVARIUS & DIO and of course you can hear these influences in their music as well as influences from their respective bands NARNIA, DIVINEFIRE & REINXEED. Lots of fans all over the world have been following the singer and composer Christian Liljegren (NARNIA & DIVINEFIRE) and guitarist, singer & composer TOMMY REINXEED (REINXEED) and the reaction on their videos in 2011 with GOLDEN RESURRECTION, REINXEED & SWEDISH HITZ GOES METAL on You tube have been tremendous. Over 300.000 views on Youtube so the interest is huge. 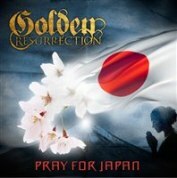 In March 2011 GOLDEN RESURRECTION made a charity single & video called PRAY FOR JAPAN to support their friends and fans in JAPAN who has a very special place in the hearts of GOLDEN RESURRECTION & REINXEED. Christian Liljegren – Lead & backing vocals & main composer in GOLDEN RESURRECTION has reached achieved success in the past with his bands NARNIA, DIVINEFIRE & AUDIOVISION and sold over a 200.000 albums all over the world. He's toured in places like Japan, Mexico, Europe and Israel to name a few, together with big bands like DIO, STRYPER, SONATA ARCTICA, STRATOVARIUS and many more. Tommy ReinXeed – Guitars, keyboards &vocals. 25 years old and a great guitar player and a wonderful vocalist. Tommy is following the good tradition of great guitar heroes like Gary Moore, Chris Impellitteri, John Sykes, Jake E Lee, John Norum & Rhandy Rhoads. He has an exceptional technique of playing shredding guitar with a fast, heavy style, with a great melodic tone and with lots of feeling in his guitar playing and composing. Gary Moore is his biggest influence and on the Japanese edition of MAN WITH A MISSION you will hear the song THE END OF THE WORLD as a bonus track, complete with the intro guitar solo and a vocal duet between Tommy & Christian. On ONE VOICE FOR THE KINGDOM the tribute to his lost hero continues with the instrumental track MOORE LORD. Steven K is Golden Resurrection's bass player and he's been touring a lot, playing many different kinds of music. His skilful bass playing blends perfectly into the music of GOLDEN RESURRECTION. Sadly Olov Andersson GR's keyboardplayer on Glory To My King album and long time friend to Christian left the band because of health reasons and was replaced by Kenneth Lillqvist. Kenneth did the Man With A Mission album and toured with the band for a while but left because of musical differencies. Also Richard Gustafsson the drummer on both albums left the band in early 2012 because of family reasons and his long term relationship with Pantokrator. We wish them all the best of luck! Now in the beginning of 2013 GOLDEN RESURRECTION have started the touring again with new members in the line-up. One of the fastest drummer in Sweden, only 19 years old and also is the drummer of ReinXeed together with Tommy. He has been playing in many bands and toured alot for many years and played with the great band Jerusalem for a while. With Svenne in the band they took the sound of neoclassical metal to a whole new level. Adding great keyboardsolos with different sounds, real Hammond organ and some cool Moog synths. Their third album ONE VOICE FOR THE KINGDOM has been recorded during the summer/autumn of 2012 and was released world wide 18th of January. Ronny Milianowicz from DIONYSUS, SAINT DEAMON & SINERGY has mixed the album and made the sound of the album be more alive and punchy like never before on a Golden Resurrection album. Please join Golden Resurrection on facebook for more updates and tour information. 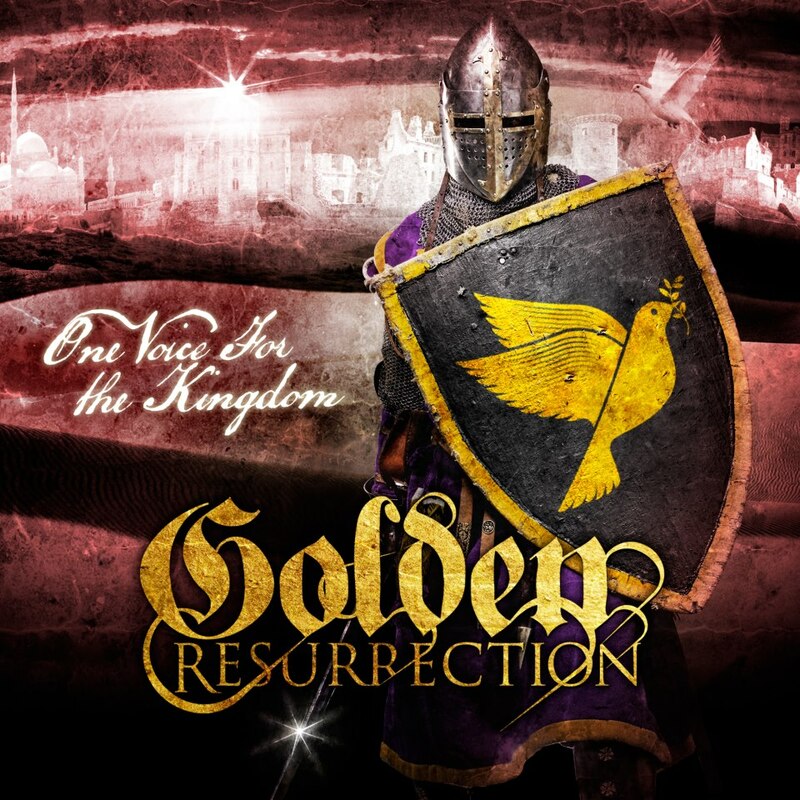 Check out the videos and enjoy the new wave of melodic neoclassical metal spelled GOLDEN RESURECTION!